At Titleist, our goal is to help all golfers play better and shoot lower scores, and being fit for the right golf ball is an important part of that. The golf ball is only piece of equipment you use on every shot and there are many game-changing performance and quality differences between various brands and models. We believe that a proper golf ball fitting takes place on the golf course, and the Titleist Tour-validated “Green-to-Tee” approach successfully fits players of all abilities, from the world’s best to high-handicap amateurs. Titleist golf ball fitting begins with an assessment of your game, your performance objectives, and your personal preferences. The Titleist Green-to-Tee fitting process involves an evaluation of all shots on the golf course, with the greatest emphasis placed on shots around and into the green. Commit to playing the golf ball you've been fitted for exclusively. Using the same model golf ball on every shot of every round eliminates performance variation, builds confidence and consistency, and will ultimately lead to you shooting lower scores. It’s a fact. Playing a properly fit golf ball will help you shoot lower scores. Try out this tool to start the fitting process. The next step is to conduct an on-course evaluation to see which golf ball ultimately performs the best for your game. Can All Golfers Benefit From Golf Ball Fitting? Every golfer, regardless of ability, age, and gender can benefit from going through a golf ball fitting. Why? Because there is no more essential piece of equipment than the golf ball. It is the only piece of equipment a golfer will use on every shot, and there are many game-changing performance and quality differences between golf ball brands and their various models, especially on shots into and around the green. A Titleist golf ball properly fit to your game will help you play better, shoot lower scores, and enjoy the game even more. Why do Titleist Pro V1, Pro V1x and AVX help all golfers shoot lower scores? Am I good enough to play Pro V1, Pro V1x or AVX? What are the performance differences between Pro V1, Pro V1x and AVX? Through proprietary technologies and precision manufacturing, Pro V1, Pro V1x, and AVX provide golfers with unmatched performance in all facets of the game - extraordinary distance in the long game, exceptional spin and control in the short game, optimized flight, soft feel, and long lasting durability. With unique flight, spin, and feel characteristics, Pro V1, Pro V1x, and AVX are each designed to give golfers the best opportunity to shoot lower scores. Yes, you are. 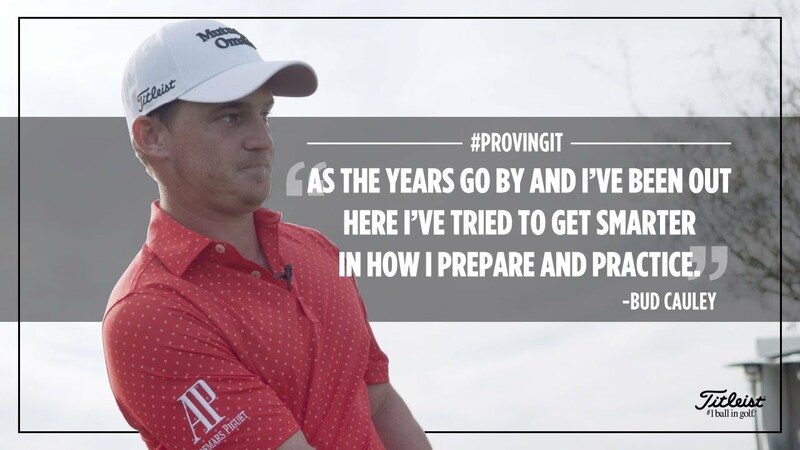 Pro V1, Pro V1x, and AVX golf balls perform for all golfers, not just highly skilled players. In fact, a less skilled golfer may benefit even more from using a high performance golf ball. Mid to high handicap players miss more greens and need to get up and down more frequently to save strokes. The spin and control that Pro V1, Pro V1x, and AVX provide helps these players execute the short game shots necessary to play their best. Additionally, while mid to high handicap golfers hit well-struck shots during their rounds, they just don’t hit them as often. Their missed shots, particularly on shots into greens, require more forgiveness. Better stopping power from higher spin on approach shots and short game shots can often mean the difference between staying on the green or rolling off it. Explore Pro V1, Pro V1x and AVX. While Pro V1, Pro V1x, and AVX all provide golfers with best-in-class performance and quality, there are key performance differences between the models that are relevant when considering which ball is the best fit for your game. Pro V1, Pro V1x, and AVX are differentiated based upon flight, spin, and feel. Compared to Pro V1, Pro V1x flies higher, spins more, and feels firmer. Compared to Pro V1, AVX flies lower, spins less, and feels softer. Each golfer’s game is different and selecting the model that meets your unique flight, spin, and feel needs is key to playing your best. Why does Titleist offer other golf balls in its product line? Which Titleist Golf Ball Model is Best for My Swing Speed? The Titleist golf ball line is designed to meet the complete range of performance needs and player preferences. When properly fit to a golfer’s game, Pro V1, Pro V1x, or AVX provide the best possible performance to help that golfer shoot lower scores. That is why we recommend these models most often for golfers whose top priority, above all else, is performance. While all golfers want performance, some golfers also have individual preferences that can influence their golf ball selection process. Player preferences can include feel, color, price, and appearance (play numbers or markings). If preferences play an important role in your selection, we offer Tour Soft, Velocity, and DT TruSoft golf balls which all deliver best-in-class performance and quality. Many golfers are mistakenly led to believe that they should be fit for a golf ball based solely on their driver swing speed. This is a flawed approach. The truth is that every golfer has many different swing speeds, not just one. Golfers utilize a wide range of swing speeds to execute the vast array of shots that are required in every round, and to play your best the golf ball must perform for all of these different shots. There are a number of important factors to consider when deciding which golf ball is best for you, but swing speed should not be one of those factors. At Titleist, we design and produce golf balls to deliver total performance at every speed, with every club, on every shot, not just the 14 drivers you may hit in a round. Same player. Different shots. Different Speeds. Which Titleist Golf Ball is the Straightest? Which Titleist Golf Ball is the Longest? Should I be playing a Low Compression Golf Ball? Many golfers mistakenly believe that they can help “cure” their offline tee shots with a low spin, distance golf ball. This is not the case. All Titleist golf balls are low spin off the driver, with a minimal difference between all models. With such a small difference in spin rates between models off the driver, there is no meaningful impact on dispersion. It is also important to remember that low spin, distance golf balls are typically low spin on all shots, which can have a detrimental impact on scoring shot performance. The difference in spin rate on scoring shots between models is significant and game-changing. Playing golf balls like Pro V1, Pro V1x, and AVX, which are low spin off the driver, but provide substantially more spin on the scoring shots than other models, allows golfers to have more control and hit shots closer to the hole more frequently. All Titleist golf balls are designed and manufactured to be exceptionally long off the tee, with all of our models measuring within 4-6 yards of each other. Simply put, there is no significant distance advantage to be gained when selecting one Titleist model over another. Additionally, in any given round, whether you shoot under par or over 100, you will only hit your driver a maximum of 14 times. For these reasons, when we fit a golfer into a golf ball, we start at the green and work back to the tee, working to optimize the golfer’s performance on the scoring shots (chips, pitches, and approach shots) as this is where every golfer has the greatest opportunity to improve their score. A common misconception among golfers when selecting a golf ball is that they should match a ball’s compression to their swing speed, believing that they will get added distance or better performance from the low compression golf ball. This is misguided. Golfers compress the golf ball on every shot at every speed, and the difference in golf ball compression is minimal at widely varied swing speeds. We have tested “low compression” products and products “designed for amateurs” head-to-head with our own golf balls and they do not deliver better total performance. So what exactly is compression and why should golfers care about it? Compression is solely a test of the relative softness of a golf ball. If a golfer has a feel preference for a softer feeling golf ball, they may prefer to play a lower compression golf ball. Download a copy of the Titleist Golf Ball Fitting and Education booklet and print out your own evaluation scorecard to compare the performance of golf balls on the course.